Sensitive sleepers, small children, and movie watchers will love the dark room provided by Redi Shade’s Original Room Darkening Shades. 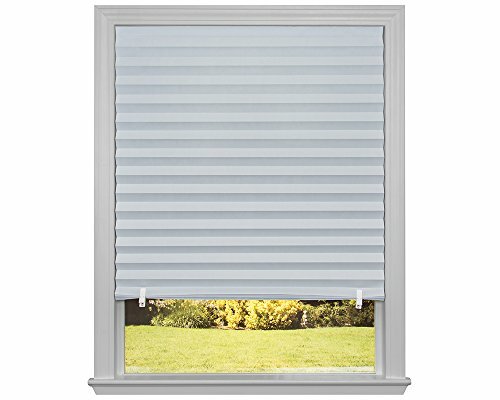 Create privacy, UV protection, reduce nighttime shadowing, and block a majority of light with these shades. Trim this pleated shade at home for a perfect fit, then install without any tools – no drill, screws, or brackets needed. Choose from gray or chocolate colors to match home decor. These room darkening shades are made of durable paper in the USA.